Weldon H. Latham is a Principal in the Washington, D.C. Region office of Jackson Lewis P.C. 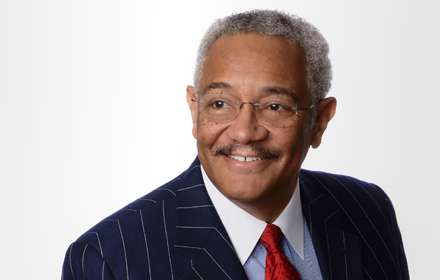 He is Leader of the Corporate Diversity Counseling Practice Group, Chair of the firm’s internal Diversity and Inclusion Committee, and a member of the firm’s Board of Directors. Mr. Latham represents Fortune 200 companies, major government agencies, and other complex organizations in a variety of legal matters, including crisis management, corporate diversity counseling, employment law, internal investigations, and government relations. Mr. Latham advises clients in crisis management and diversity representation, complex civil rights reviews and employment law audits, as well as dispute resolution, investigations and defends class action lawsuits involving allegations of race, gender, and age discrimination and harassment law. He also directs confidential litigation assessments, corporate diversity compliance reviews, internal legal vulnerability assessments, and assists clients in developing "best practice," benchmarking, and diversity enhancement action plans. Mr. Latham has over 20 years of senior partner level direction of major crisis management, civil rights program reviews, and employment discrimination litigation. Mr. Latham has a distinguished record of public service. He has served as Assistant General Counsel, White House Office of Management and Budget; General Deputy Assistant Secretary, Department of Housing and Urban Development; Captain, Secretary of the Air Force, General Counsel’s Honors Program; member of the Defense Department Advisory Committee on Procurement and Technical Data Rights; Civilian Aide to the Secretary of the Army; member of the U.S. Small Business Administration National Advisory Council; served on the Board of the Maryland Stadium Authority; and the Metropolitan Washington Airports Authority, as Chair of the Legal Committee. Mr. Latham is a columnist for DiversityInc and regular contributor to Bloomberg Law Reports. In recent years, he has discussed diversity, civil rights and political issues on ABC News "Nightline," CNBC "Power Lunch," Bloomberg Business News, Court TV, The Washington Post, and other national media. He also serves as a keynote speaker to Boards of Directors, CEOs, and executive management teams of major corporations, as well as business and trade associations on the subject of diversity and inclusion as a “business imperative,” “competitive advantage,” “legal vulnerability,” and the Washington political scene. In 2016, Mr. Latham was named by President Obama to be a Member and the Lead Attorney for the Barack Obama Foundation Inclusion Council. He is a member of the American Employment Law Council, the National Employment Law Council, and the Economic Club of Washington. Among his other numerous professional and community activities, Mr. Latham served as Counsel to the PepsiCo Global Diversity and Inclusion Governance Council and the Omnicom Group Diversity Advisory Committee. He was previously the National Co-Chair, Hillary Clinton Presidential Campaign; Chair, Legal Committee, Metropolitan Washington Airports (Reagan National & Dulles) Authority; Chair, Deloitte External Diversity Advisory Board; and Secretary, Greater Washington Board of Trade. Mr. Latham is a former Adjunct Professor of Law at the Georgetown University Law Center and a Guest Professor at both the University of Virginia and Howard University Schools of Law. He also served on the Board of Trustees (Visitors) of the American University, Virginia Commonwealth University, and George Mason University. Savoy Magazine, "Most Influential Black Lawyer"
SmartCEO Magazine, "Legal Elite of Washington, D.C."